Buckingham House. The oldest remaining house in Sevier County, Buckingham House was built by Thomas Buckingham, the first Sheriff of Sevier County in 1795 and overlooks the French Broad River. Brabson’s Ferry Plantation: Built in 1790, The main plantation house, which is still in use, and an 18th-century plank house also located on the property, have both been added to the National Register of Historic Places. Fourth and Gill Historic District: Located down the road in Knoxville, the Fourth And Gill Historic District includes three churches and dozens of houses built between the 1880s and the 1930s. Sevierville Commercial District: Built-in the early 1900s to replace the old commercial district when it burned down, the “new” Sevierville Commercial District surrounds the historic courthouse which itself is also on the National Historic Registry. Morristown Overhead Sidewalk System: The only overhead sidewalk system in the United States, the Morristown sidewalk is located in the historic district and leads shoppers to specialty, antique, and boutique clothing stores, as well as local eateries. 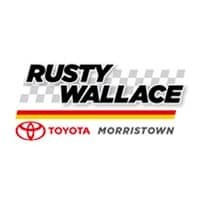 if you need to upgrade your transportation choices, review the new car and used vehicle options available from Rusty Wallace Toyota. Contact us or visit our showroom Morristown, TN. Start the process today by applying for financing online. 0 comment(s) so far on What are 5 of the Best Registered Historic Sites in Sevierville?